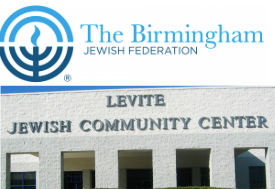 In his 19th century novel “Tale Of Two Cities,” British author Charles Dickens famously begins with, “It was the best of times, it was the worst of times.” Those words could be easily applied to the Levite Jewish Community Center and Birmingham Jewish Federation in different ways. On one level, our LJCC is wonderfully successful with a multitude of activities and programs serving a vast number of people every day. On another level our LJCC is struggling as it grapples with a serious, accumulated financial predicament. The challenge for those who love our LJCC is to focus on these two things simultaneously, finding a way to not let one eclipse the other. We must continue to expand our program offerings and enrich the lives of our members and community as we implement a plan to achieve financial stability. Not only will our annual meeting showcase the amazing year of achievement that our LJCC has had, including hosting the JCC Maccabi Games, but it will offer an open and transparent forum for people to learn more about the LJCC’s financial struggles and the strategies being implemented to lead our LJCC forward. There also will be an opportunity to hear more about a new initiative underway in our community called “Reimagine Jewish Birmingham” that is bringing our whole community together to think collectively and creatively about our future. Meanwhile, the Birmingham Jewish Federation is in its own “best of times, worst of times” mode. Our activities are growing, we are engaging more young adults than ever before, and our capability to raise money is considerable — witness, for example, our successful security campaign earlier this year. At the same time, our annual campaign is declining — suggesting that the appeal of one central umbrella campaign for an array of causes is waning. In addition, it is becoming clear that our mission and message need to be redefined, especially to attract and retain younger donors. Beverly Woznica, a Los Angeles-based staff member from the BJF’s national organization, Jewish Federations of North America, was in Birmingham last week for a series of meetings to help our Federation think through these challenges. Federations throughout the country are facing similar challenges so it was reassuring to know that we are not the only Federation facing such dilemmas. Her visit triggered a series of productive conversations among lay leaders, major donors and staff about the future of the BJF and our Jewish community in general and, in particular, creative ways for addressing some of the fundraising dilemmas our Federation is facing. Though the challenges facing the BJF and LJCC are demanding and in some cases daunting, these are exciting times for both agencies. Problems often are the prelude to change; they can birth new concepts that create energy, determination and optimism. New possibilities and ideas are emerging weekly, driven by an extraordinary cadre of gifted and dedicated volunteer leaders and a creative and determined staff. It is a great time in the history of our Jewish community, possibly the dawning of a new era. The number 18 is significant in Judaism and is associated with “life.” In about a month, we’ll usher in a new year — 2018. It likely will be a year that infuses our Jewish community — especially our BJF and LJCC — with new levels of achievement and creativity. And, when we look back a year from now, despite the challenges currently facing us, 2018 may very well be remembered as having ushered in one of the most imaginative and unifying eras in the history of our Jewish community. The coming year, I believe, will be the best of times. Click for more on Jewish Federations of North America.